The German heavy cruiser “Admiral Graf Spee” was sent away far to the South Atlantic in order to start sinking enemy ships as soon as the war began. On this day, a famous naval battle between Nazi Germany and the United Kingdom took place in the South Atlantic Ocean – near the South American coast. The Germans had only one ship – the famed heavy cruiser named Admiral Graf Spee. This ship was named after the famous German Admiral Spee from the First World War, who died heroically in a battle against the superior British fleet. The vessel Admiral Graf Spee was built in the time of Hitler’s Nazi regime in Germany. She belonged to the class of the so-called heavy cruisers, and was frequently referred to as a “pocket battleship” – because she had a strong armor and heavy guns, but was small in size (due to limitation on warship size imposed after the German defeat in World War I). Admiral Graf Spee compensated her small size with enormously powerful engine of up to 52,050 horsepower, which gave her a top speed of almost 30 knots (55 km/h). With such speed, she was able to outdistance enemy heavy ships, while at the same time had more powerful guns than any ship of similar speed. Germans sent that “pocket battleship” far away to the South Atlantic in order to start sinking enemy ships as soon as the war began. And indeed, right after war was declared, Admiral Graf Spee in a short time destroyed nine enemy ships with a total of 50,089 gross register tons. The British were infuriated, so they sent three cruisers to destroy her. On this day, the British cruisers intercepted Admiral Graf Spee on the open sea, a few hundred kilometers from the South American coast. The strongest of the three British ships was HMS Exeter – a York-class heavy cruiser. Interestingly, the Germans managed to damage the British cruiser with guns to that extent that she had to withdraw from the battle. However, the remaining two British cruisers HMS Ajax and HMS Achilles damaged the German ship, so she retreated to the port of Montevideo in Uruguay, a neutral country, in an attempt to save herself. Two British cruisers, of course, followed the German ship. When the German Captain Hans Langsdorff learned that the British are approaching, he decided to scuttle the ship so she would not fall into enemy hands. The wreck of Admiral Graf Spee still lies a few kilometers outside the port of Montevideo and an operation of removing parts of the ship from the sea has recently been undertaken. 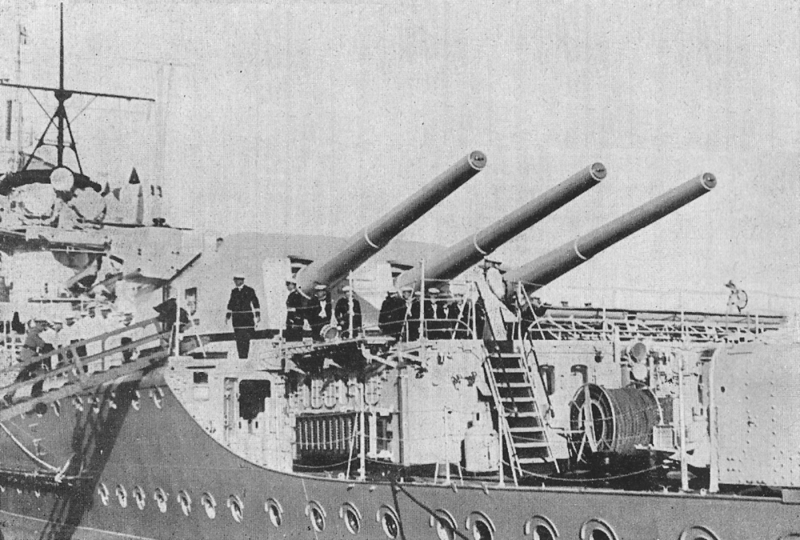 It is an interesting coincidence that the Admiral Graf Spee sank not far from the place where the man after which she was named – the famous Admiral Maximilian Reichsgraf von Spee – heroically died during World War I (killed in battle near the Argentine coast).